From product announcements and streaming app updates to general industry news and recent gear trends, keeping up with the latest tech news can be a daunting task. With that in mind, we're here to offer you a roundup of some of the latest gear and consumer electronics news that you may have missed. For this edition, we're covering some additional product updates from this week's Consumer Electronics Show in Las Vegas, including the latest audio gear from Pioneer, the launch of Alexa device control for select Klipsch speakers, Panasonic's new Technics turntable, and updated wireless speakers from Vifa. 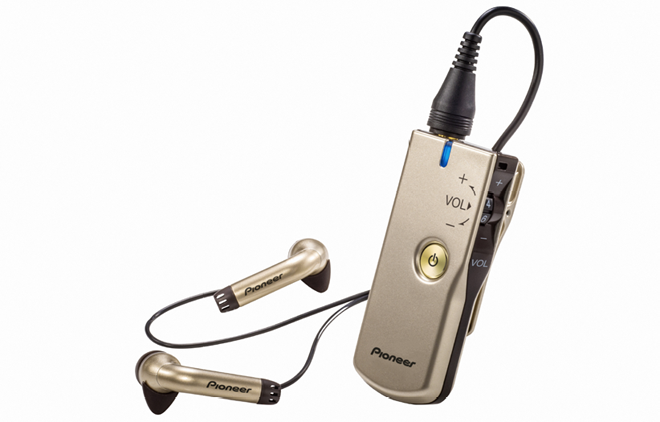 Pioneer has announced a trio of new products at CES. The collection includes the "Nani?" PHA-M70 Personal Amplifier, the XDP-02U digital audio player, and the IRONMAN SE-IM5BT Wireless Sports Earphones. The lightweight "Nani?" PHA-M70 Personal Amplifier is designed to amplify daily sound around a user, allowing them to adjust sound levels to their liking in order to hear voices more clearly during conversations, watching TV shows, and other situations. The unit features automatic ambient noise reduction, dual mics and DSP to collect sound, and earphones with two 10mm drivers to play back the audio. Likewise, the amplifier includes L/R balance adjustment, an automatic input reduction feature to prevent sudden loud noises, and anti-howling technology to minimize feedback. Battery life is rated for up to 21 hours per charge with the included rechargeable lithium battery, though users can also opt to use triple-A and R03 cell batteries. Pricing and availability have not been announced yet. Meanwhile, the XDP-02U digital audio player features a fully balanced and symmetrical circuit structure with two ESS SABRE ES9018C2M DACs and dual SABRE ES9601K amplifiers. 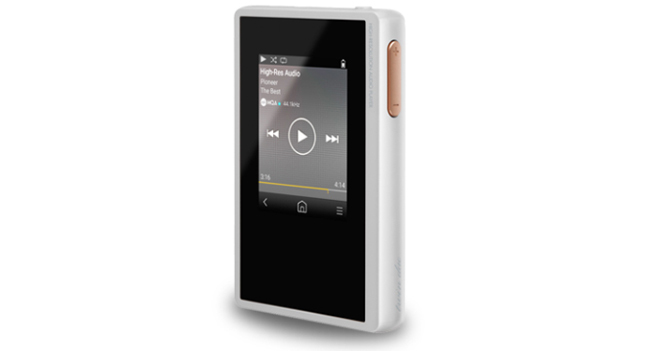 The device supports the MQA format, native 5.6 MHz DSD playback, and Hi-Res Audio in FLAC/WAV/ALAC at up to 192 kHz/32-bit. An up-sampling feature is included as well, along with dual clocks for 44.1 kHz and 48 kHz signals. Wi-Fi 5 GHz/2.4 GH and Bluetooth 4.0+LE connectivity are also integrated, and the unit offers 16GB of internal memory with the option to add as much as 800GB of additional storage via microSD slots. Pricing and availability have not been detailed yet. Klipsch has announced plans to release an Amazon Alexa firmware update for its Klipsch Stream lineup of wireless speakers and audio devices. The update will add support for the Amazon Alexa Connected Speaker APIs (Application Protocol Interfaces), enabling customers to control their compatible Klipsch products from an Alexa-enabled device like an Amazon Echo or Dot. The Klipsch Stream Wireless Multi-Room Audio Series offers an ecosystem of sound bars, wireless speakers, and legacy source converters with DTS Play-Fi whole-home technology capable of wireless high resolution audio playback from streaming internet sources, locally stored content, and traditional audio sources. And in addition to upcoming voice control from Alexa products, Klipsch Stream Wireless products can be controlled by the Klipsch Stream app or the DTS Play-Fi app for iOS and Android platforms. Klipsch Stream devices set to receive support for control via Alexa devices include the Reference RSB-14 and RSB-8 sound bars, Heritage Wireless speaker The Three, the RW-1 wireless speaker, and the Gate and PowerGate amplifiers. The free firmware update is expected to arrive early this year. Panasonic has announced the latest additions to its Technics audio lineup. The new products include the Technics SP-10R High-End Direct Drive Turntable and the Technics SL-1000R Direct Drive Turntable System. The SP-10R turntable features a double coil twin rotor-type coreless direct-drive motor with coils on both sides for 12-pole, 18-coil drive. Likewise, the device uses a turntable platter with a 10-mm-thick brass weight, which is then further augmented with tungsten weights on the outer periphery. Further noise reduction measures also include the separation of the control unit and main unit, and a newly-developed "unwanted noise reduction circuit." Meanwhile, the SL-1000R turntable system also features an S-type universal tonearm with a lightweight, high damping magnesium tonearm pipe, along with a tonearm base. The Technics SP-10R High-End Direct Drive Turntable is set to launch this Spring for around $10,000, and the Technics SL-1000R Direct Drive Turntable System is set to cost around $20,000. Vifa has revealed new 2.0 versions of its Copenhagen and Stockholm multi-room Vifa HOME loudspeakers. The speakers feature Bluetooth and Wi-Fi support, along with a new Vifa LINK button that enables users to interconnect their compatible loudspeakers through one click. A Vifa PLAY button is also integrated, offering immediate access to a customer's favorite music/radio stations. Likewise, users can also control settings, linking, and streaming playback via the Vifa HOME app. Models will be available in Mountain Blue or Pine Green colors, using the company's unique eco-friendly textile high-quality wool covers from KVADRAT. The Copenhagen 2.0 carries an MSRP of $799, while the Stockholm 2.0 carries an MSRP of $1,499.